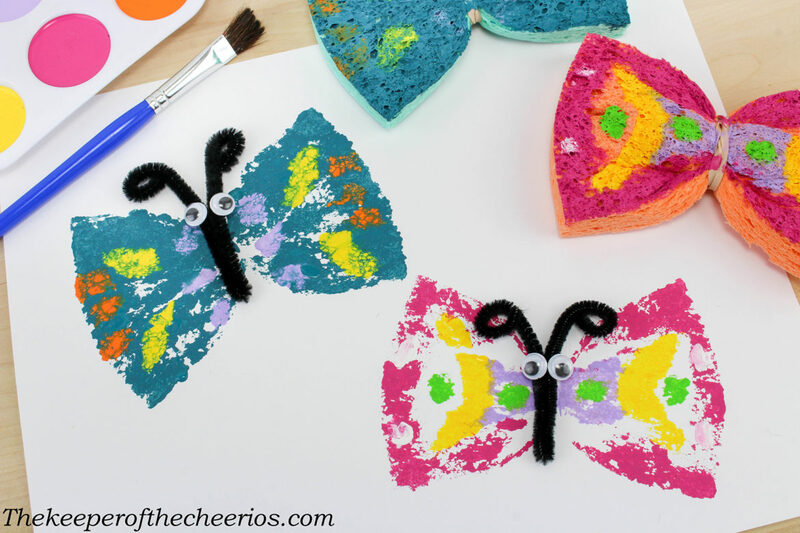 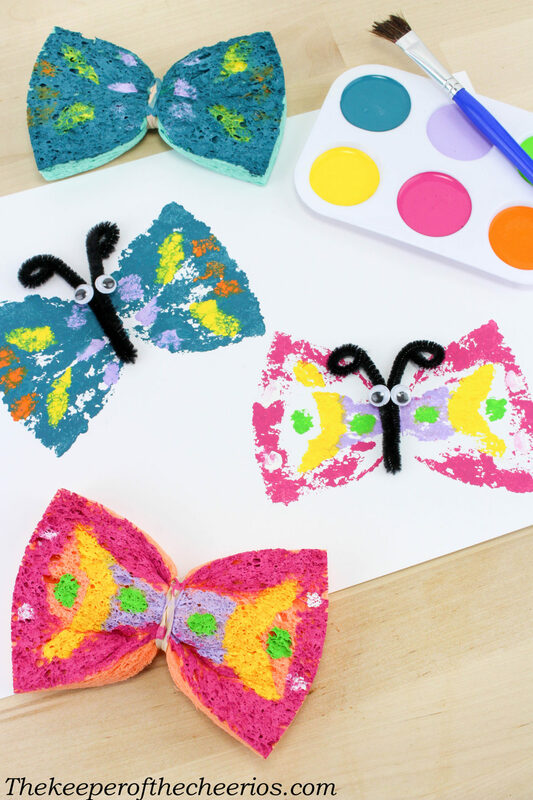 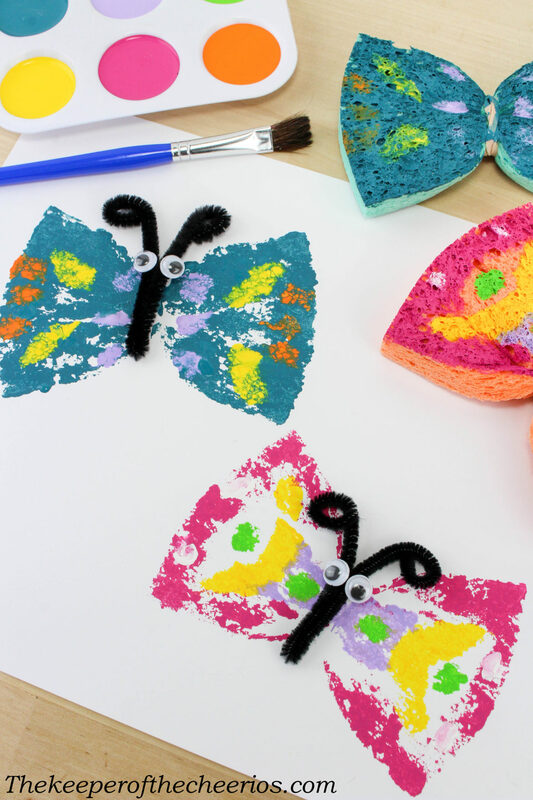 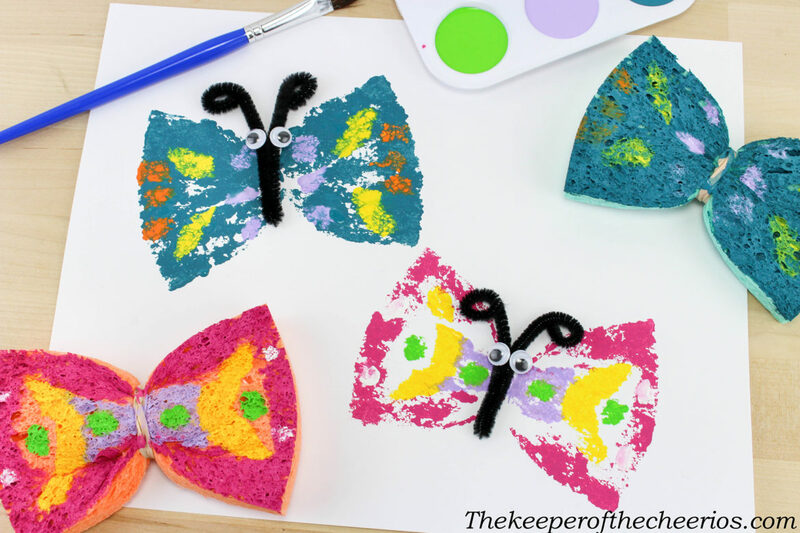 How fun is this simple Butterfly Sponge Art? 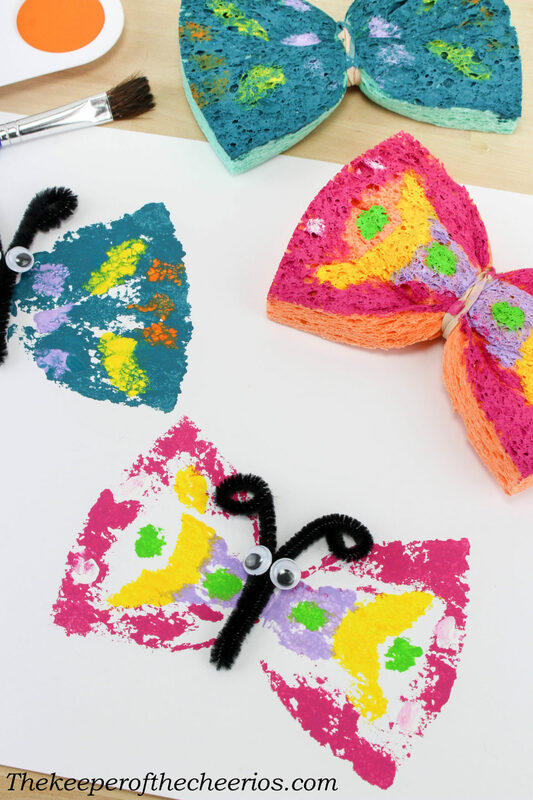 This craft is super easy for most any age to make and they turn out amazing. 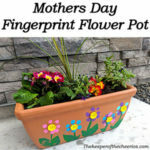 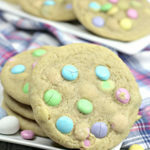 These are such a fun and cute project to make for Springtime, Mother’s Day, Father’s Day, or just something fun to do. 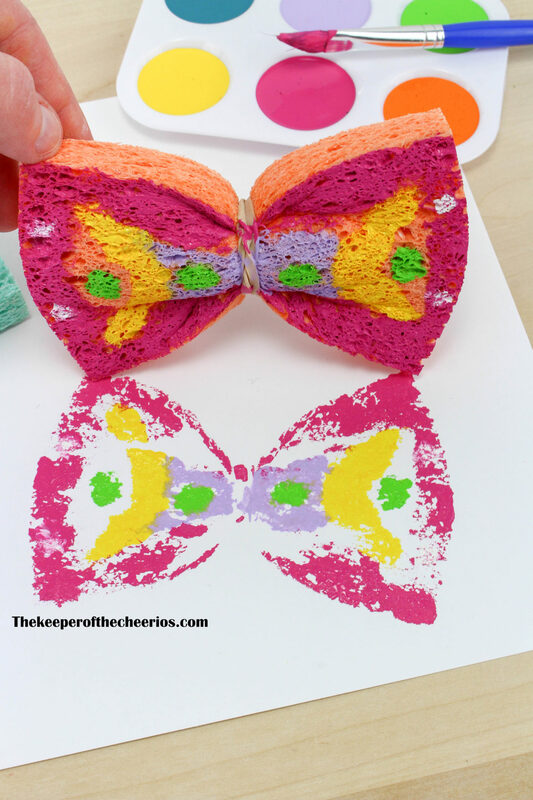 Take one sponge and squeeze it together in the middle. 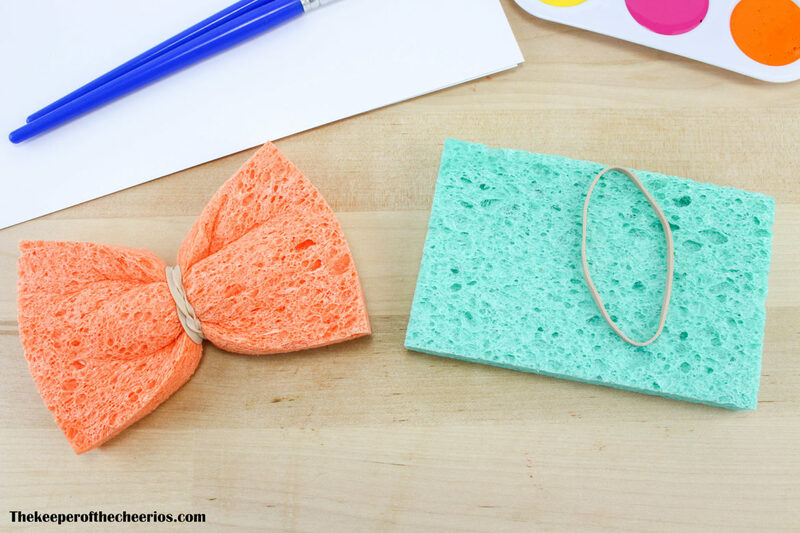 Wrap a rubber band around it 2-3 times or until tight. 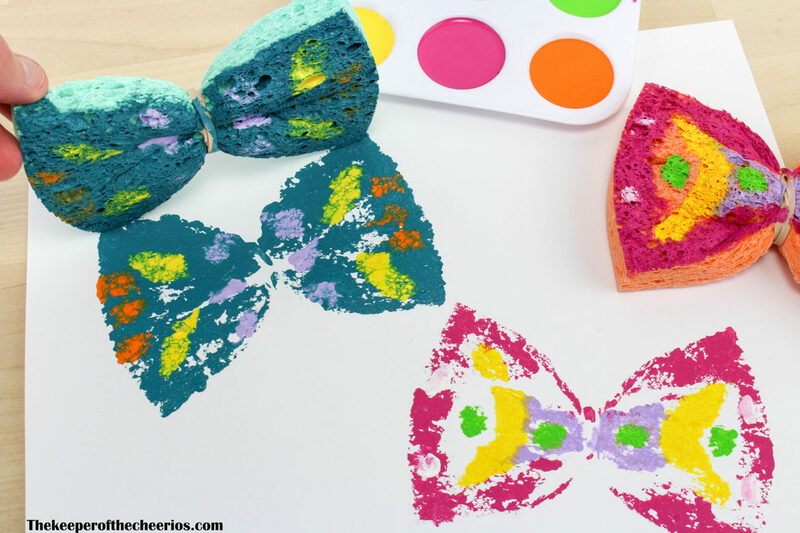 Repeat with the other sponge. 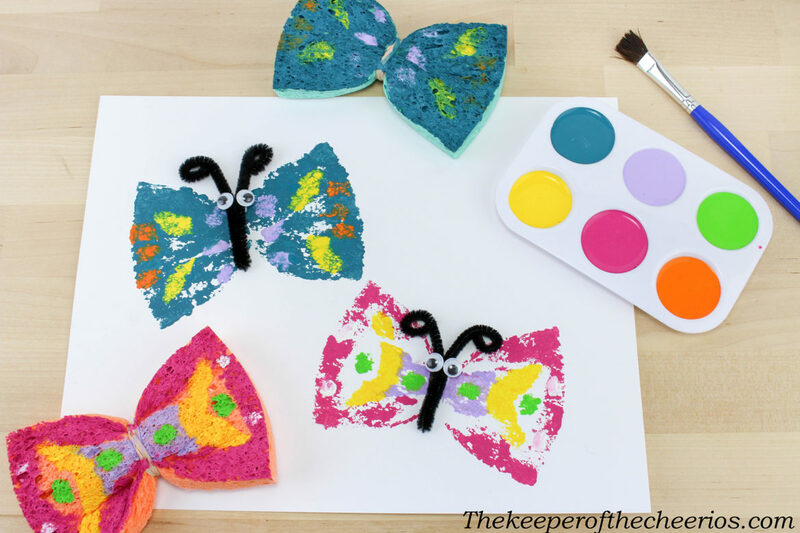 Paint different designs on each sponge and stamp onto the piece of cardstock paper. 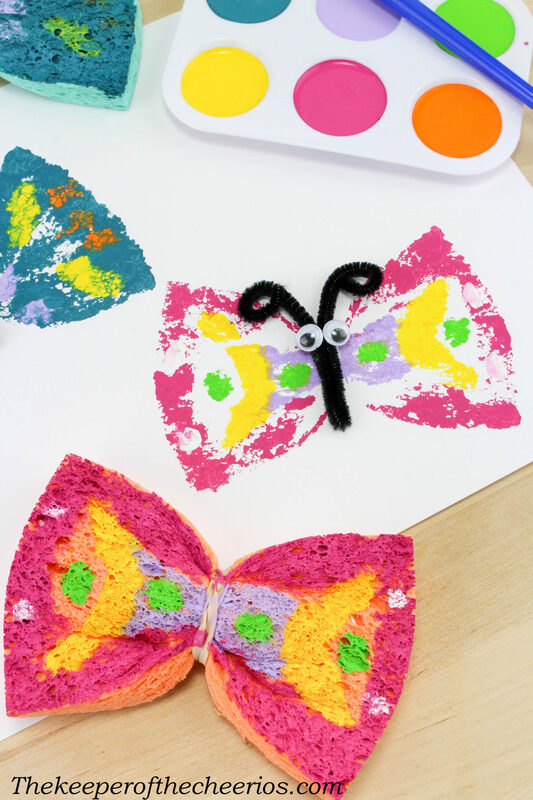 Take the black pipe cleaner and cut in thirds. 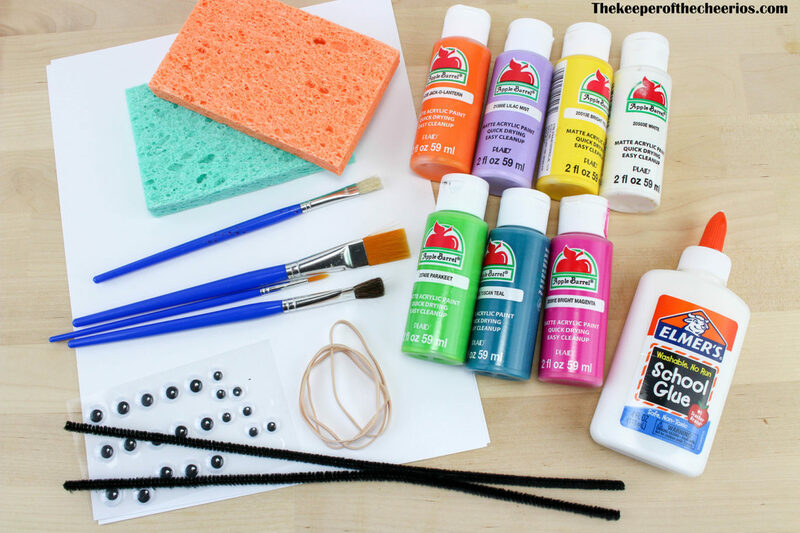 Bend one piece into a “V” shape and curl the ends. 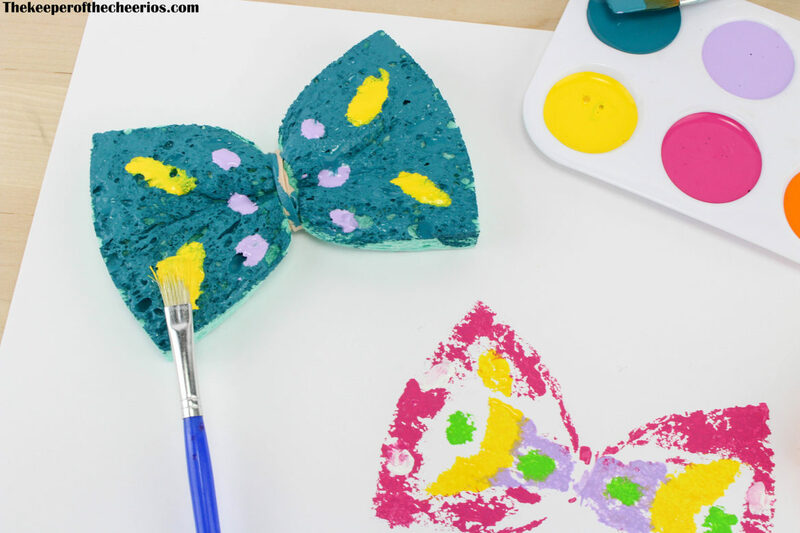 Push the V together to form the body. 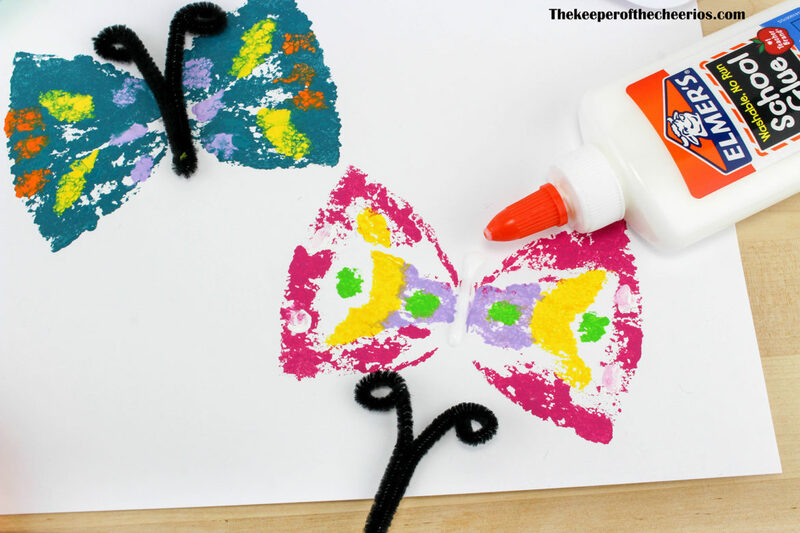 Glue onto the middle of the butterfly and add 2 googly eyes.